Many people are familiar with how to change a tire. It’s a good skill to know how to do, especially in an emergency. But most people probably are not aware of how to change a motorcycle tire. The process is a bit different than it is for a regular car but if you’re a motorcycle owner, you should definitely learn how to do so. Of course you could always take it into the shop and pay someone to do it, but this wastes both time and money. So why not learn how to do it yourself? You can get a cheaper price if you buy the tire yourself, rather than paying what the shop charges and eliminate the labor charge altogether. It’s also much quicker to do it yourself. 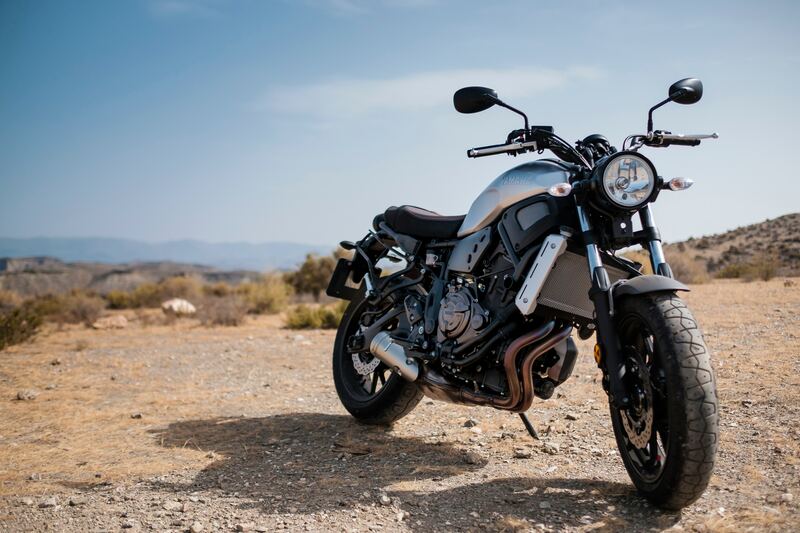 By the time you make an appointment, take in the motorcycle, and wait for the crew to get to it, you could already be done changing the tire and back on the road. Changing a motorcycle tire is a bit of an involved process and will take practice. 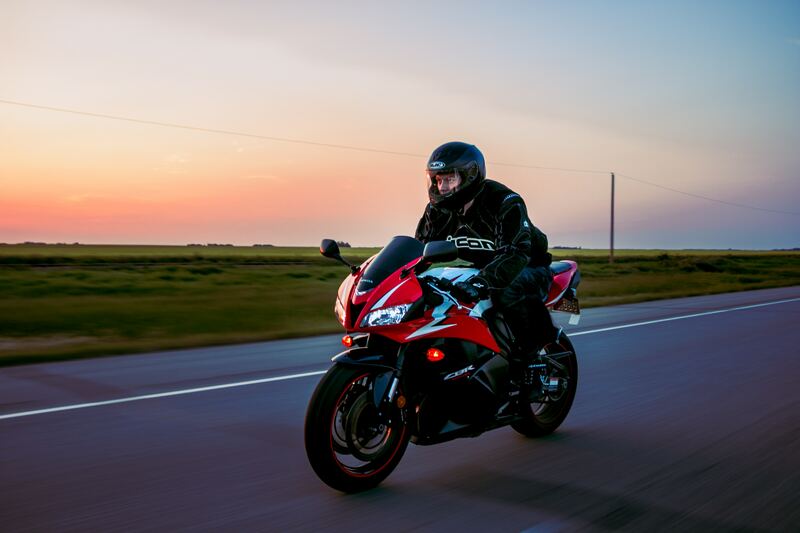 Be sure to use the proper technique in order to avoid damaging the tire or the motorcycle and to ensure your safety. 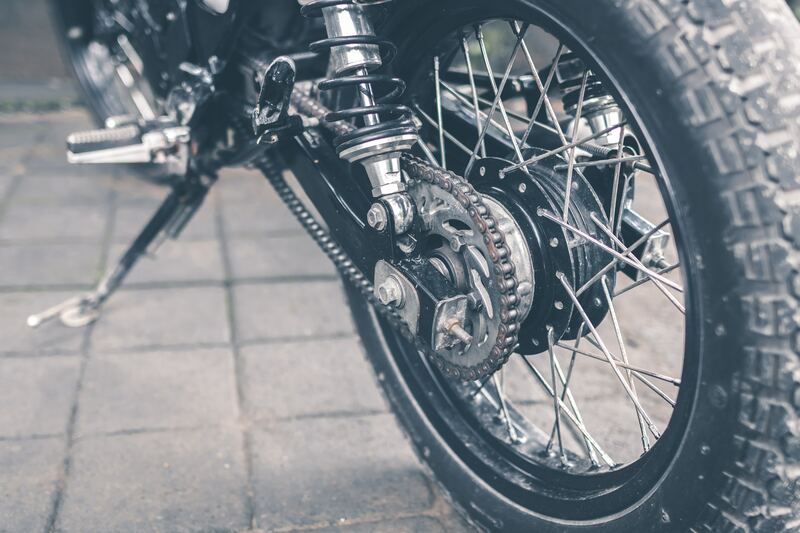 If you change the tire incorrectly, the motorcycle may not drive properly and you could risk getting in a serious accident. The process can be tough to get used to and you’ll probably make a few mistakes but don’t get frustrated. Be patient and pay attention to detail in order to avoid having to re-do the same work over again. Before you begin, you’ll want to have all the necessary tools to change your tire. 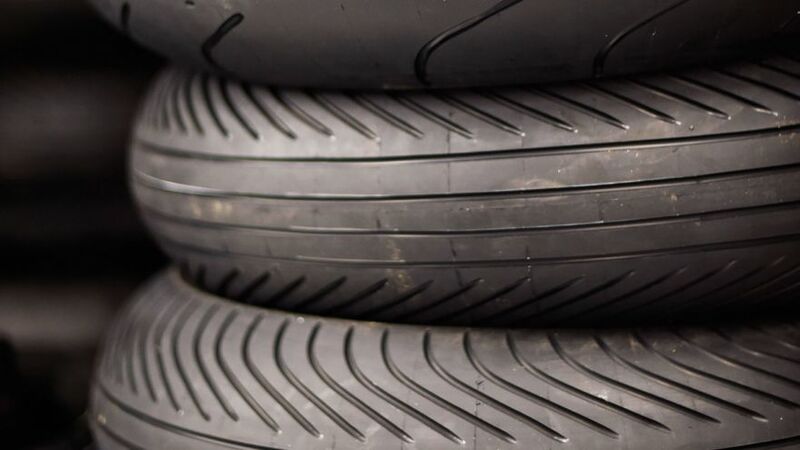 You can purchase most of these at a local tire shop or online merchants. The first thing you need to do to prepare removal of the tire is lift the bike off the ground. You can use your automotive jack stands to lift and balance the motorcycle. Once you have the bike in place and the tire off the ground, you’ll use the valve core tool to remove the air from the tire. This makes the tire much easier to remove as the air tension is released. You will need to screw the valve core tool onto the tire valve and ensure you have a firm grasp on it as the air forcefully escapes. 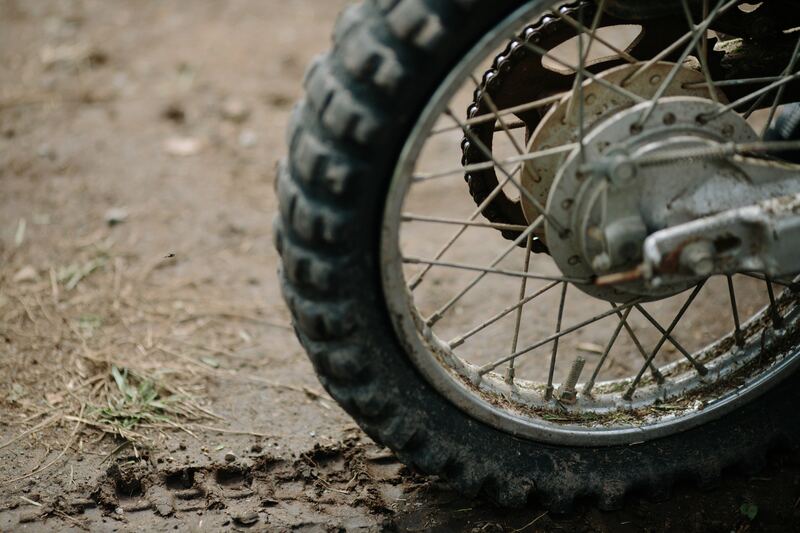 You need to make sure you remember which way the tire fits onto the bike so that you can put it back on the correct way. You can put a piece of tape on the rim and draw an arrow on it, pointing in the direction that the tire spins when the bike is in motion. Next, you need to break the bead which sometimes can be the toughest part of changing a motorcycle tire. The bead is the inner edge of the tire that holds it in place on the rim and you can detach it from the rim by using a bead breaker tool. You’ll insert the tool between the bead and the rim until you hear a popping sound. Continue this technique around the whole tire on both sides until the tire is completely separated from the rim. If it proves too tough, try letting more air out of the tire. Now you need to pull the tire off the rim and the easiest way to do this is to lube up the tire bead. You’ll spray the tire lubricant around the tire along the bead in order to make it much easier to pull off the rim. Insert a tire iron between the bead and the rim and begin pulling the tire away from the rim. Take your time and do small sections at a time. It makes it easier when you add more lube as you go to any exposed part of the bead. If you’re having a tough time of it, try using multiple tire irons of different shapes. Once you’ve detached the bead from both sides of the rim, you should be able to tire completely off. One thing to note is that this process can really damage your rims as the tire irons might chip at them as you pull out the tire. In order to prevent damage, buy rim protectors which will put a cushion between the tire irons and the rim. Before you begin installing the new tire, inspect the wheel for any damage or cracks and determine whether or not you should replace the valve stem. You can reuse the old one but to be safe, you might as well replace it. If you have a small wire brush handy, clean the rim of rust and dirt. Now it’s time to start installing the new tire. First, you’ll want to slather the inside of the tire as well as the bead with lubricant. Double check the directional arrow on the tire and match it up with the arrow you drew on the rim earlier. This is very important so be absolutely sure you have it on the correct way! Also, look for a dot of paint on the tire and match that up with the valve stem on the rim. Putting the tire onto the rim is similar to the process of removing it. You’ll attach the tire to the rim and then seat the bead using your tire irons. Use the tire irons to push the tire away from the rim which allow the bead to ease into place. Do this on both sides until the bead is completely seated under the rim. Next, use the air compressor to pump air into the tire until you hear a pop. The force of the air filling the tire will pop the bead into place under the rim. If your air compressor is not getting the job done, you can use a bead seating tool or Breezer tire tool to manually pop the bead into place. Be generous with the lubricant during this process, it will make your job much easier. Once you have the bead properly set, you will need to replace the valve stem using the valve core tool. Make sure it’s on tight! Now you can finish pumping the tire to the proper pressure and re-install the wheel onto the bike. Before you take your new tire for a spin, let all the lubricant evaporate. All of that lube you used could cause the tire to slip and that is not something you want to happen! You’ve now changed your first motorcycle tire! Hopefully that wasn’t too bad. It does take a bit of practice and your first time probably will take longer than you like, but eventually you’ll be a pro and saving the money and the trip to the mechanic will be worth it. Just remember to be patient and pay attention to details as you work. There’s nothing worse than having to re-do something that took hard work to do in the first place!